Toy Wishes says this is the latest in a series of hard-rocking video games that were among the first to use established videogame platforms in a new way. 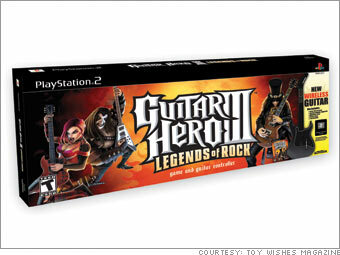 Hook up the guitar peripheral to your PlayStation, Xbox or Wii and get rocking. The new version includes tracks from Alice Cooper, Beastie Boys, Smashing Pumpkins, Heart and Kiss.